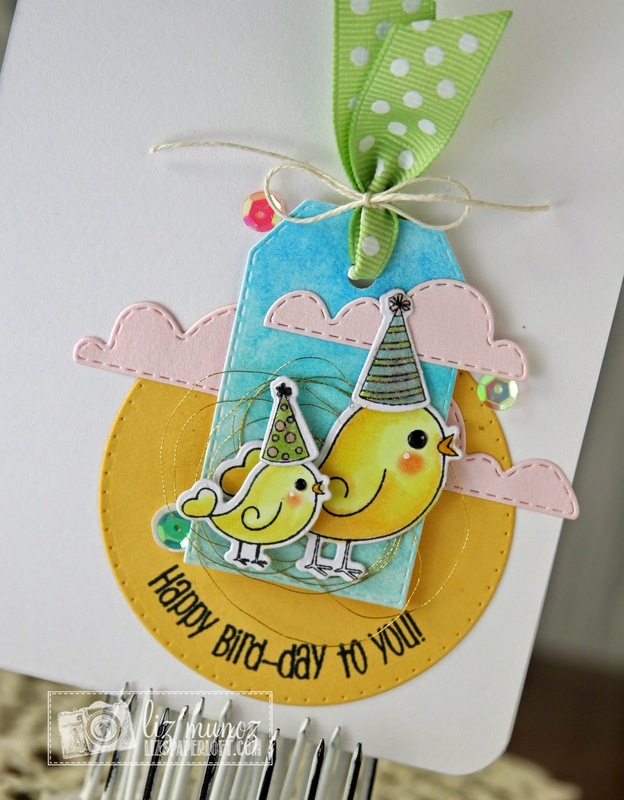 Liz's Paper Loft: MCT Tag It Tuesday ~ happy bird-day! 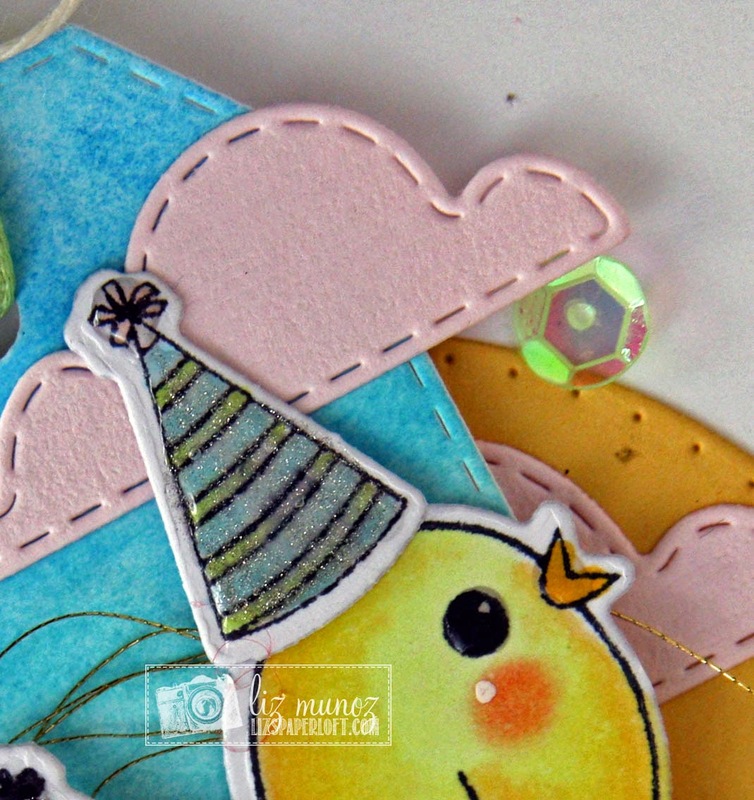 I set out to make a round tag, however as I was working it, this is what came out! Sometimes that's what happens :) I water colored some paper then die cut the tag (that helps it not warp as much). OMG Miss Liz what a super beautiful, cute and Adorable Tag Card. Love how you used Miss Emma's goodies. You truly created a darling seen and lots of dimension. The colors are so pretty. You definitely did an outstanding creative job!! Your friend is going to love and cherish it. YOU so ROCK!! Love my sweet card! It's even cuter in person! Every little detail is perfection, and I love having an example of how to color those little birdies perfectly! Thank you!!! Great tip to paint then die cut! Your tag/card is adorable. I love how you colored you little birds and the thread and sequins bling them up so they are ready for a party. Wonderful job. Liz ~ Oh first off LOVE the design! Then the way you place the birds ~ so ADORABLE!! BEAUTIFULLY done! what a super ADORABLE tag Liz!!!! 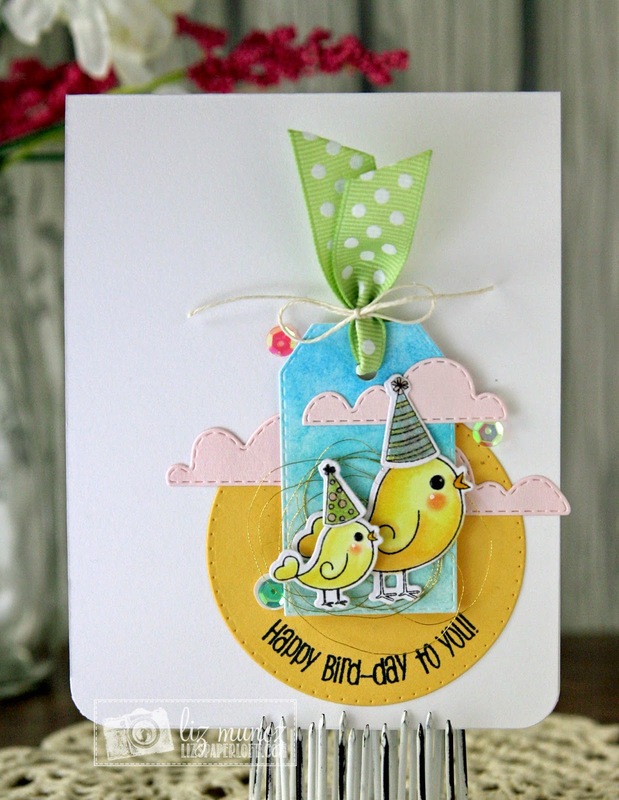 Ok this is just adorable, your birthday chickies are too cute and colored perfectly! !